Doris won an UltraLight Dual 36L daypack from ThinkTank. The Story: During a very interesting Blackwater dive this jelly fish showed up suddenly out of the dark. 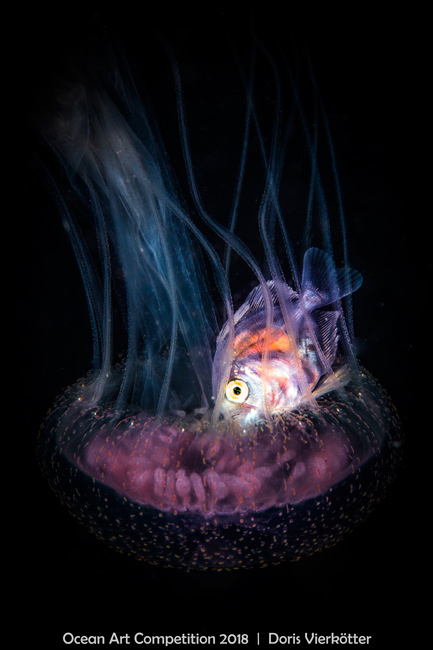 My buddy lighted it up from below so we had to wait for the right position of the fish inside which was moving very quickly in the jelly fish.